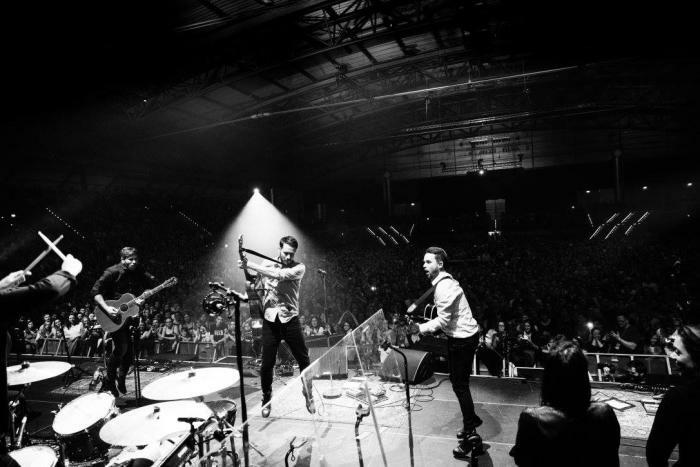 The band has been playing shows for 15 years now, can you pick out a favourite gig? We played the last MTV UP Show in our hometown Hamburg at the Barclaycard Arena. That was a very emotional thing. Seeing all of your friends and family. The festival shows at Rock am Ring and Hurricane are good memories as well. You recorded an MTV Unplugged session, this must have been an incredible experience, how did it feel to cast aside your rig and go back to acoustic? MTV Unplugged is a huge thing for a 90's kid like me. I grew up with Nirvana, Pearl Jam, Oasis, Stone Temple Pilots. All of these bands did the unplugged thing very well. So it felt like an honour to be part of something that big. We took the whole project very serious and did new arrangements for every single song of the show. For me it was a challenge because I didn't want to play the stuff I usually play on electric guitar. I wanted new lines. I tried a lot of acoustic guitars, mandolin, Ebow on acoustic, Pedal steel. So at the end I had a lot of possibilities to deliver the sounds that were needed in the arrangements. So it felt good and new. I learned a lot during this project. As well as extensive touring, you’ve recorded four studio albums and countless singles - do you prefer gigging or do you find songwriting and studio work more satisfying? I'm so happy that I don't have to decide. I love both. At the moment I really love being in my studio and figuring out guitar sounds and writing songs. I really enjoy playing electric guitar again. But I know when the album is recorded I'll want to be on the road again. As a guitarists and a songwriter, who do you count among your musical influences? As a grunge kid it's all of the 90's hero bands. Pearl Jam, Nirvana, Stone Temple Pilots. I like John Mayer and James Valentine of Maroon 5 as guitarists. There are many good German songwriters. Rio Reiser, Niels Frevert, Udo Lindenberg. Definitely the woodstock era where all of the magic began. What was your first guitar? And what are you playing now? My first guitar was an old no name acoustic guitar my father bought me. I still have it. I play the SS Zaftig from Bilt and a JM6 Fano and a GF6 Fano Alt de facto. I have an old 72 Fender Thinline and some more vintage guitars. Tell us about your BigSky and Timeline, what made you chose them? I have a Diamond Compressor, an Anasounds Cerberus OCD, a Diamond Tremolo, an El Capistan, an Anasounds Utopia, a Memory Lane by Diamond and many more. I'm getting it together right now for the new record and the new tour. I kept all my stuff. So happy I did. That would be my Fender Thinline and my 13 FTR 37 amp. It's the match I was looking for.